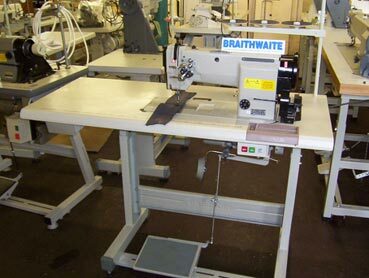 The Highlead GC20518-M produces two lines of lockstitch sewing and features two vertical-axis rotating hooks. Being of a modern design is has an automatic lubrication system feeding all important moving parts. The machine has a synchronized feeding system, with the needle bar and bottom feed mechanisms moving in time to combine into a more stable motion. This helps to prevent uneven material feeding +ply shifting and results in a precise stitched seam. Stitch length variations are greatly reduced when sewing and changing between high & low speed or forward & reverse feeding. This is of particular use when you are sewing in long runs at high-speed (curtains, blinds, banners etc.). The combined feed motion also allows this model to handle a wider range of materials when compared with a standard drop feed machine. Standard features include needle feed system, dial adjustable stitch length, reverse stitch lever, large hand wheel and automatic pump driven lubrication. 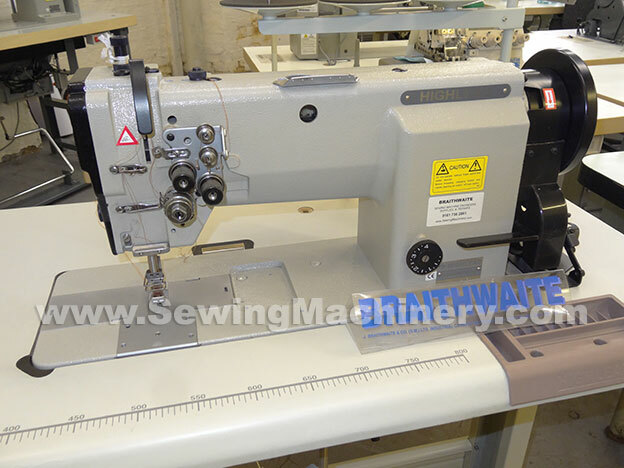 General purpose robust twin needle flat-bed lockstitch industrial sewing machine for stitching light-medium & medium weight fabrics and materials.